More than 2500 contributors participate in developing KDE software. About 20 new developers contribute their first code each month. KDE software has been translated into over 108 languages. There are many well-known free software projects developed and maintained by the KDE community. KDE Plasma 5.4 showing light and dark themes. KDE Plasma is a user interface technology that can easily be adjusted to run on various form factors like desktops, netbooks, tablets and smartphones or even embedded devices. The brand Plasma for the graphical workspaces has been introduced from KDE SC 4.4 onwards. During the fourth series there have been two additional workspaces besides the Plasma 4 Desktop called Plasma Netbook and Plasma Active. KDE Frameworks provide more than 70 free and open-source libraries built on top of Qt. They are the foundation for KDE Plasma and most of the KDE applications, but can be part of any project that would like to make use of one or more of its modules. Kirigami is a Qml application framework developed by Marco Martin that enables developers to write applications that run natively on Android, iOS, Plasma Mobile and any classic Linux desktop environment without code adjustments. There is a growing list of applications like Linus Torvalds and Dirk Hohndels scuba diving application Subsurface, the messenger client Banji, the Kaidan messenger or the KDE software center Discover. During KDE SC 4, the then so called KDE Platform consisted of all libraries and services needed for KDE Plasma and the applications. Starting with Qt 5, this platform was transformed into a set of modules that is now referred to as KDE Frameworks. These modules include: Solid, Nepomuk, Phonon, etc. and are licensed either under the LGPL, BSD license, MIT License or X11 license. KDE Applications is a bundle of software that is part of the official KDE Applications release. Like Okular, Dolphin or KDEnlive, they are built on KDE Frameworks and released on a 4 months schedule with the version numbering consisting of YY.MM (e.g. 18.12). Software that is not part of the official KDE Applications bundle can be found in the "Extragear" section. They release on their own schedule and feature their own versioning numbers. There are many standalone applications like KTorrent, Krita or Amarok that are mostly designed to be portable between operating systems and deployable independent of a particular workspace or desktop environment. Some brands consist of multiple applications, such as Calligra Office Suite or KDE Kontact. There is a "User" and two "Developer" editions of KDE Neon. WikiToLearn, abbreviated WTL, is one of KDE's newer endeavors. It is a wiki (based on MediaWiki, like Wikipedia) that provides a platform to create and share open source textbooks. The idea is to have a massive library of textbooks for anyone and everyone to use and create. Its roots lay in University of Milan, where a group of physics majors wanted to share notes—then decided that it was for everyone and not just their internal friend group. They have become an official KDE project with several universities backing it. Currently the KDE community uses the Git revision control system. The KDE Projects site and QuickGit give an overview of all projects hosted by KDE's Git repository system. Phabricator is used for patch review. Commitfilter will send an email with each commit for the projects you want to watch, without either getting tons of mails or getting infrequent and redundant information. English Breakfast Network (EBN) is a collection of machines that do automated KDE source artifact quality checking. The EBN provides KDE API documentation validation, user documentation validation, source code checking. It is operated by Adriaan de Groot and Allen Winter. Commit-Digest site gives a weekly overview of the development activity. LXR indexes classes and methods used in KDE. The overall direction is set by the KDE Core Team. These are developers who have made significant contributions within KDE over a long period of time. This team communicates using the kde-core-devel mailing list, which is publicly archived and readable, but joining requires approval. KDE does not have a single central leader who can veto important decisions. Instead, the KDE core team consisting of several dozen contributors taking decisions. The decisions do not take a formal vote, but through discussions. The Developers also organize alongside topical teams. For example, the KDE Edu team develops free educational software. While these teams work mostly independent and do not all follow a common release schedule. Each team has its own messaging channels, both on IRC and on the mailinglists. And they have mentor program which helps beginners to get started. A KDE Patron is an individual or organization supporting the KDE community by donating at least 5000 Euro (depending on the company's size) to the KDE e.V. As of October 2017 there are 6 such patrons: Blue Systems, Canonical Ltd., Google, Private Internet Access, SUSE, and The Qt Company. The KDE community’s mascot is a green dragon named Konqi. Konqi has a girlfriend named Katie. Konqi and Katie made their costumed appearance at the KDE 4.0 Release Event and Camp KDE 2010. Konqi also appears on the KDE software's about dialog. Kandalf the wizard was the former mascot for the KDE community during its 1.x and 2.x versions. Kandalf's similarity to the character of Gandalf led to speculation that the mascot was switched to Konqi due to copyright infringement concerns, but this has never been confirmed by KDE, which simply stated that Konqi was used due to his charming appearance. Konqi's appearance was officially redesigned with the coming of Plasma 5, with Tyson Tan's entry (seen on the right) winning the redesign competition on the KDE Forums. KDE mascot Konqi managing documentation. Amarok with information retrieved from Wikipedia. On 22 August 2008, KDE e.V. and FSFE jointly announced that after working with FSFE’s Freedom Task Force for one and a half years KDE adopts FSFE���s Fiduciary Licence Agreement. Using that, KDE developers can – on a voluntary basis – assign their copyrights to KDE e.V. In October 2018, Red Hat declared that KDE Plasma was no longer supported in future updates of Red Hat Enterprise Linux, though it continues to be part of Fedora. The announcement came shortly after the announcement of the business acquisition of Red Hat by IBM for close to $43 billion USD. KDE (back then called the K(ool) Desktop Environment) was founded in 1996 by Matthias Ettrich, a student at the Eberhard Karls University of Tübingen. At the time, he was troubled by certain aspects of the Unix desktop. Among his concerns was that none of the applications looked, felt, or worked alike. He proposed the creation of not merely a set of applications but a desktop environment in which users could expect things to look, feel, and work consistently. He also wanted to make this desktop easy to use; one of his complaints about desktop applications of the time was that it is too complicated for end users. His initial Usenet post spurred a lot of interest, and the KDE project was born. On 24 November 2009 the KDE Marketing Team announced a rebranding of the KDE project components, motivated by the perceived shift from building a desktop environment to a wider ranging project around a community of "people who create software". The rebranding focused on de-emphasizing the desktop environment as "just another product", and emphasizing both the community and the other technologies provided as KDE software. What would have been previously known as KDE 4 was split into three parts: KDE Plasma Workspaces, KDE Applications, and KDE Platform (now KDE Frameworks) – altogether bundled as "KDE Software Compilation 4" (abbreviated "KDE SC 4"). As of today the name KDE no longer stands for K Desktop Environment, but for the community that produces the software. In the beginning Matthias Ettrich chose to use Trolltech’s Qt framework for the KDE project. Other programmers quickly started developing KDE/Qt applications, and by early 1997, a few applications were being released. On 12 July 1998 the first version of the desktop environment, called KDE 1.0, was released. The original GPL licensed version of this toolkit only existed for platforms which used the X11 display server, but with the release of Qt 4, LGPL licensed versions are available for more platforms. This allowed KDE software based on Qt 4 or newer versions to theoretically be distributed to Microsoft Windows and OS X. Through Pardus, a local Linux distribution, many sections of the Turkish government make use of KDE software, including the Turkish Armed Forces, Ministry of Foreign Affairs, Ministry of National Defence, Turkish Police, and the SGK (Social Security Institution of Turkey), although these departments often do not exclusively use Pardus as their operating system. CERN (European Organization for Nuclear Research) is using KDE software. Germany uses KDE software in its embassies around the world, representing around 11,000 systems. NASA used the Plasma Desktop during the Mars Mission. ^ "About KDE". Retrieved 2012-01-25. ^ a b "KDE Kirigami". KDE. Retrieved November 25, 2018. ^ Ryan Paul (2009-08-21). "OpenSUSE community konfesses love for KDE, makes it default". Condé Nast Digital. Ars technica. Retrieved 2010-11-28. ^ a b c "KDE – Press page". KDE. Retrieved 2019-01-10. ^ a b Jeff Mitchell (2009-07-20). "KDE Reaches 1,000,000 Commits in its Subversion Repository". KDE. KDE.NEWS. Retrieved 2010-11-13. ^ "KDE Localization statistics". 5 November 2010. Retrieved 2010-11-06. ^ "the status of KDE mirrors". Archived from the original on 2010-11-23. Retrieved 2010-11-06. ^ "KDE Github Mirror". github.com. ^ "The KDE Workspaces". Retrieved 2010-12-04. ^ "The KDE development platform". Retrieved 2010-11-26. ^ Development/Languages - KDE TechBase. Techbase.kde.org (2012-07-12). Retrieved on 2013-07-17. ^ "KDE Licensing Policy". Retrieved 2010-11-06. ^ "KDE neon". KDE. Retrieved June 20, 2016. ^ "Q&A: Jonathan Riddell on the release of KDE neon User Edition 5.6". CIO.com. June 9, 2016. Retrieved June 20, 2016. ^ "KDE Free Qt Foundation". KDE e.V. Retrieved September 29, 2012. ^ "Infrastructure/Phabricator KDE Community Wiki page". Retrieved 2018-10-07. ^ "People Behind KDE: Cornelius Schumacher". February 4, 2002. Retrieved 2010-11-18. ^ Marcel Hilzinger (2009-10-12). "Code Statistics: KDE Costs 175 Million Dollars". Linux Magazine. Retrieved 2010-12-30. ^ "Project Management". Retrieved 2010-11-13. ^ "Becoming a KDE Developer". Retrieved 2011-01-01. ^ George Kuk (2006). "Strategic Interaction and Knowledge Sharing in the KDE Developer Mailing List". Management Science. 52 (7): 1031–1042. doi:10.1287/mnsc.1060.0551. Archived from the original on 2007-10-13. ^ "Getting Started with KDE Accessibility". Retrieved 2011-01-01. ^ "Becoming a KDE Artist". KDE. Retrieved 2010-11-13. ^ "Get Involved with KDE Documentation". KDE. Retrieved 2010-11-28. ^ "The KDE DocBook XML toolchain". Retrieved 2010-11-28. ^ "KDE – Get Involved with KDE Translation". Retrieved 2010-11-22. ^ "Get Involved with KDE Promotion". Retrieved 2010-11-13. ^ "KDE Human Interface Guidelines". Retrieved 2010-12-01. ^ Yixin Qiu; Katherine J. Stewart; Kathryn M. Bartol (2010). "Joining and Socialization in Open Source Women's Groups: An Exploratory Study of KDE-Women" (PDF). IFIP Advances in Information and Communication Technology. IFIP Advances in Information and Communication Technology. 319: 239–251. doi:10.1007/978-3-642-13244-5_19. ISBN 978-3-642-13243-8. ^ "Projects/Release Team". Retrieved 2010-11-22. ^ "KDE e.V. - Become a Supporting Member of the KDE e.V." ev.kde.org. ^ "Supporting Members". KDE e.V. Retrieved 18 May 2017. ^ "KDE-Clipart page". Retrieved 2010-11-20. ^ Troy Unrau (2010-01-25). "Camp KDE 2010 Wrapup". KDE. KDE.NEWS. Retrieved 2011-03-05. ^ "Timeline KDE 20 Years". Retrieved 2017-07-17. ^ "Konqui, Katie and Friends". ^ "KDE e.V. - What is KDE e.V." KDE e.V. Board. Retrieved 2011-01-02. ^ "KDE e.V. - KDE e.V. Activities". KDE e.V. Board. Retrieved 2011-01-08. ^ "KDE Working Groups Discussion". KDE e.V. Retrieved 2011-01-02. ^ Sebastian Kuegler (2008-08-12). "KDE e.V. Endorses Community Working Group, Code of Conduct". KDE. KDE.NEWS. Retrieved 2010-12-24. ^ "KDE – Sponsorship Thanks". Retrieved 2010-11-13. ^ "Articles of Association". Retrieved 2010-11-28. ^ "Become a Supporting Member of the KDE e.V." Retrieved 2010-11-12. ^ Danny Allen (2006-10-16). "Mark Shuttleworth Becomes the First Patron of KDE". KDE. KDE.NEWS. Retrieved 2010-11-13. ^ Francis Giannaros (2007-07-07). "Intel and Novell Become Patrons of KDE". KDE. KDE.NEWS. Retrieved 2010-11-13. ^ Jos Poortvliet (2010-06-09). "Announcing the KDE e.V. Supporting Membership". KDE. KDE.NEWS. Retrieved 2010-12-24. ^ "KDE España-Junta Directiva". KDE España. Retrieved 2011-07-24. ^ "KDE España to represent KDE e.V. in Spain". KDE e.V. Board. Retrieved 2010-11-13. ^ Daniel Molkentin (2005-12-10). "Kaun Banega KDE Hacker: KDE India Founded". KDE. KDE.NEWS. Archived from the original on 2012-03-20. Retrieved 2011-05-04. ^ "Japan KDE Users' Group website". 日本 KDE ユーザ会. Retrieved 2011-02-03. ^ Jonathan Riddell (2008-04-17). "Japan KDE Users Group Interview". KDE. KDE.NEWS. Archived from the original on 2012-03-20. Retrieved 2011-04-20. ^ "KDE GB - KDE Community Wiki". Retrieved 2011-02-12. ^ Jonathan Riddell (2008-04-28). "KDE in Korea". KDE. KDE.NEWS. Archived from the original on 2012-03-20. Retrieved 2011-04-23. ^ "KDE Community Code of Conduct". Retrieved 2010-11-28. ^ Luca Beltrame (2009-03-20). "KDE Brainstorm: Get Your Ideas Into KDE!". KDE. KDE.NEWS. Retrieved 2010-12-18. ^ Sebastian Kuegler (2008-10-12). "KDE Launches User Forums". KDE. KDE.NEWS. Retrieved 2011-01-01. ^ Lydia Pintscher (2008-09-19). "UserBase Goes Live!". KDE. KDE.NEWS. Retrieved 2010-12-24. ^ "KDE-Support". KDE. Retrieved 2010-11-28. ^ Navindra Umanee (2000-09-21). "KDE Dot News goes live!". KDE. KDE.NEWS. Retrieved 2011-01-02. ^ Will Stephenson (2009-08-04). "New KDE Buzz". KDE. KDE.NEWS. Retrieved 2010-12-24. ^ Amber Graner (2010-12-28). "KDE's Pastebin". Linux New Media. Linux Magazine. Retrieved 2011-02-01. ^ "Community Identity Guidelines". Retrieved 2010-12-01. ^ "The KDE CIG Logo page". September 28, 2006. Retrieved 2010-11-06. ^ Stuart Jarvis (2010-06-21). "Introducing Your KDE Software Labels". KDE. KDE.NEWS. Retrieved 2010-11-13. ^ Sven Krohlas (2005-06-23). 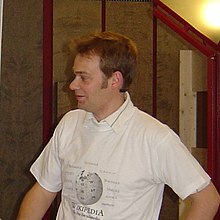 "KDE and Wikipedia Announce Cooperation". KDE. KDE.NEWS. Retrieved 2010-11-13. ^ "KDE and Wikimedia Start Collaboration". April 4, 2008. Retrieved 2010-11-13. ^ a b "KDE e.V. Becomes Associate Member of FSFE". May 9, 2006. Retrieved 2010-11-06. ^ "FSFE welcomes KDE's adoption of the Fiduciary Licence Agreement (FLA)". 22 August 2008. Retrieved 2010-11-06. ^ "FSFE: Events. Office warming party, Berlin, Germany". 12 December 2009. Retrieved 2010-11-26. ^ Jonathan Riddell (2010-01-21). "KOffice Based Office Viewer Launched for Nokia N900". KDE. KDE.NEWS. ^ Inge Wallin (2009-10-11). "Nokia Announces MS Office 2007 Import Filters for KOffice". Archived from the original on 2010-12-06. ^ Stephen Kelly (2010-06-03). "KDE PIM Stabilization Sprint". KDE. KDE.NEWS. ^ Aaron J. Seigo (2010-12-21). "KDE e.V. Joins Open Invention Network". KDE. KDE.NEWS. Retrieved 2010-12-23. ^ "Development begins on a lightweight KDE version - The H Open: News and Features". Archived from the original on 2013-12-07. Retrieved 2013-12-07. CS1 maint: BOT: original-url status unknown (link). H-online.com (2013-04-14). Retrieved on 2013-07-17. ^ All KDE & Fedora: This month (May) in Redhat KDE. Ltinkl.blogspot.de (2006-07-11). Retrieved on 2013-07-17. ^ "We (may) now know the real reason for that IBM takeover. A distraction for Red Hat to axe KDE". ^ "KDE e.V. - Akademy". KDE e.V. Retrieved 2010-11-13. ^ "Requirements for Akademy Location". KDE e.V. Retrieved 2010-11-13. ^ Jonathan Riddell (2009-07-06). "Akademy Awards 2009". KDE. KDE.NEWS. Retrieved 2011-01-07. ^ Daniel Molkentin (2005-08-30). "First KDE Appreciation Awards Announced". KDE. KDE.NEWS. Retrieved 2011-01-07. ^ Antonio Larrosa (2006-02-09). "aKademy-es 2006 in Barcelona". KDE. KDE.NEWS. Archived from the original on 2012-03-06. Retrieved 2011-01-03. ^ Aleix Pol Gonzalez (2007-11-22). "Akademy-es 2007 in Zaragoza Spain". KDE. KDE.NEWS. Retrieved 2010-11-28. ^ Albert Astals Cid (2008-11-15). "Akademy-es 2008 in A Coruña". KDE. KDE.NEWS. Archived from the original on 2012-03-06. Retrieved 2011-01-02. ^ Albert Astals Cid (2009-07-23). "Akademy-es 2009". KDE. KDE.NEWS. Retrieved 2010-11-17. ^ Albert Astals Cid (2010-03-09). "Akademy-es 2010". KDE. KDE.NEWS. Retrieved 2011-01-03. ^ Albert Astals Cid (2011-04-08). "KDE Spain announces Akademy-es 2011". KDE. KDE.NEWS. ^ Wade Olson (2008-11-30). "Camp KDE 2009 Presentations Announced". KDE. KDE.NEWS. Archived from the original on 2011-06-08. Retrieved 2010-11-28. ^ Jeff Mitchell (2009-08-07). "Announcing Camp KDE 2010!". KDE. KDE.NEWS. Retrieved 2010-11-28. ^ Celeste Lyn Paul (2011-02-05). "Camp KDE 2011 Announced". KDE. KDE.NEWS. Retrieved 2011-01-07. ^ "Season of KDE 2015". KDE. Retrieved 2015-12-23. ^ Danny Allen; Artur Souza; Claudia Rauch; Torsten Thelke; Jos Poortvliet; Justin Kirby (24 August 2010). KDE e.V. Quarterly Report 2010Q2 (Issue 14) (PDF). KDE e.V. p. 5. Retrieved 2011-01-01. ^ Shantanu Tushar (2010-12-28). "conf.KDE.in: First KDE Conference in India". KDE. KDE.NEWS. Retrieved 2011-01-03. ^ Valorie Zimmerman (2011-03-11). "conf.kde.in: Project Neon Returns With Bleeding Edge KDE Software". KDE. KDE.NEWS. Retrieved 2011-05-30. ^ "Salió la versión candidata de KDE SC 4.7". 2011-06-28. Archived from the original on 2012-03-26. ^ Jos Poortvliet (2010-03-21). "KDE Partying Around the World for New Release". KDE. KDE.NEWS. ^ Ettrich, Matthias (14 October 1996). "New Project: Kool Desktop Environment (KDE)". Newsgroup: de.comp.os.linux.misc. Usenet: 53tkvv$b4j@newsserv.zdv.uni-tuebingen.de. Retrieved 2010-12-04. ^ "COSE Update FYI". Archived from the original on 2012-02-07. Retrieved 2010-11-06. ^ Stuart Jarvis (2009-11-24). "Repositioning the KDE Brand". KDE. KDE.NEWS. Retrieved 2010-11-13. ^ Jos Poortvliet (2014-07-16). "Repositioning the KDE Brand". Retrieved 2014-07-27. ^ "history of the KDE project". August 2003. Archived from the original on 2010-10-31. Retrieved 2010-12-02. ^ Ryan Paul (January 23, 2008). "KDE goes cross-platform with Windows, Mac OS X support". Ars Technica. Retrieved 2010-12-04. ^ "LinuxCon: The world's largest Linux desktop deployment". 2011-08-22. ^ KDE promo team (ed.). KDE promo booklet (PDF). Retrieved 2011-02-26. ^ a b c d "Pardus 2009 yolda" (in Turkish). 2009-05-25. Retrieved 2009-05-25. ^ "MSB, Pardus ile 2 milyon dolar tasarruf etti" (in Turkish). 2009-04-14. Retrieved 2009-04-14. ^ "SGK, Pardus'a göç etmeye hazırlanıyor" (in Turkish). 2009-04-13. Retrieved 2009-04-13. ^ Jonathan Riddell (2008-09-10). "KDE Congratulates CERN's Large Hadron Collider".